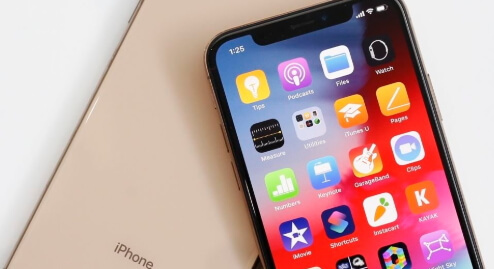 Unlike Android and Windows operating system users, most of the iPhone users are unaware of where to find the files which they have lost accidentally such as images, videos, messages or contacts. So the question like where the deleted files have gone on iPhone or is there a recycle bin on iPhone can arise in the mind of users. 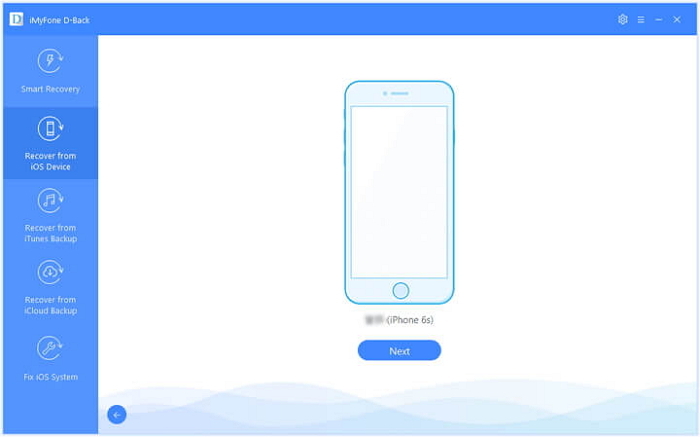 Well, this article is truly based on the information which will help you to know iPhone recycle bin location and iPhone recycle bin data recovery process so that you can easily get your deleted files back. Q 1: Is There a Recycle Bin on iPhone? Actually, there is no recycle bin on iPhone or iPad. Unlike other devices iPhone and iPad do not have recycle bin. Therefore, it is necessary to keep the backup of their data on a regular basis. As trash is not available on iPhone therefore, you can’t find recycle bin location. Q 2: Does the iPhone have a Recycle Bin for deleted data like messages or photos? Although there is no recycle bin there are great ways available for the better recovery of your lost data. Have you deleted your important files from iPhone? Here are some ways can be utilized to recover what you need to get back. Third-party software can be installed by which you can recover your deleted files without backup and without restoring. 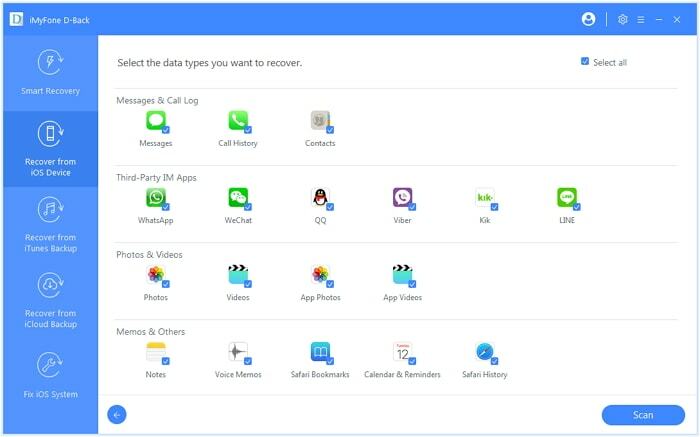 iMyFone D-Back is a software which can help you to recover the deleted data of your iPhone, iPod touch and iPad with ease. You can experience this smart recovery option to recover all of the important data from your devices. It allows highest possibility of your data recovery which based on advanced technology. This amazing program is compatible with all the versions of iOS and can be utilized for all iOS devices. 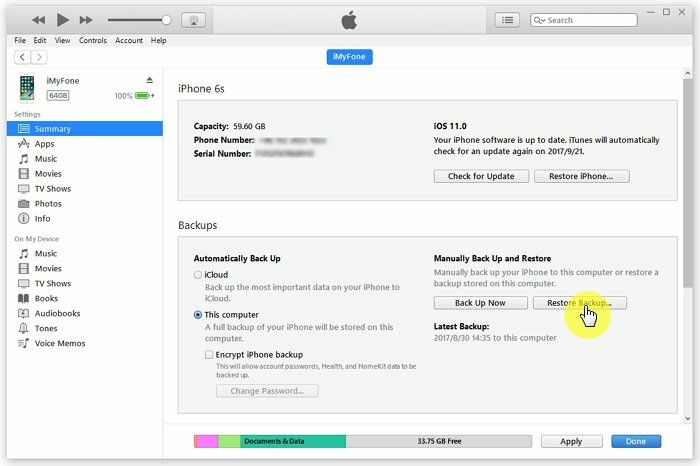 Here are the steps you can follow to recover your iPhone data without backup via iMyFone D-Back. Step 1.Download and launch iMyFone D-Back. After launching the tool successfully, go to Recover from iOS and click the Start button available there. Connect the device to your computer. Click “Next” to proceed. Step 2.Select the file types you need to recover and the software will scan your device to find the required data for you. Step 3.Once the program has done with scanning your device. The recovered data will be showed up into your screen in a well-organized form. You can explore all the available tabs to select your required data with ease. For better and concise result check the option “Show Deleted files only” and select the files you want to get back on your device and click “Recover”. Here are the simple steps which you can follow to recover your deleted files from iTunes backup. Please note that the official way will overwrite your current data. Step 1: Open your iTunes on PC which you have used to keep backup of your data. Step 2: Connect your iPhone with the PC through USB cable. Step 3: Select your device when it starts to appear in iTunes. Step 4: Select Restore Backup in iTunes. You can check the date of each backup and proceed with the most relevant one. Step 5: Click Restore and wait until the restore process is being done. Do not disconnect your device, let it be restart and finish the sync operation. Well, after this has done you can disconnect your device. 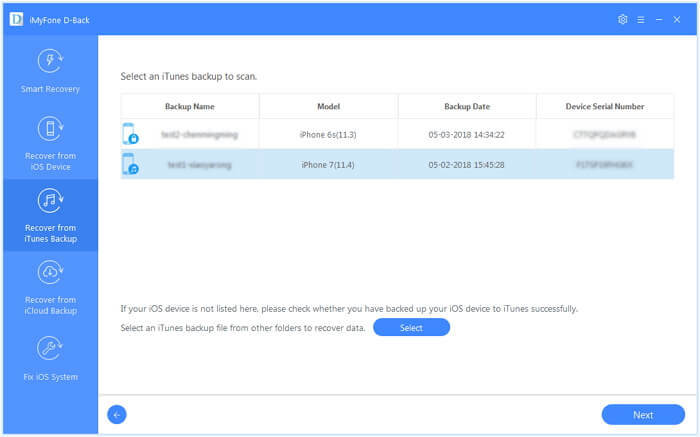 Do you want to get your deleted data back from iTunes backup without restoring? Here are the steps to follow via D-Back. Step 1: Go to the iMyFone D-Back software and click on the tab with the title “Recover from iTunes Backup”. Click the backup from which you have to recover your data and proceed to Next. Step 2: Select the type of files which you have to recover and click “Scan” wait till the moment program is scanning your device to retrieve your required data. Step 3: After scanning, you can see the search result. Select the required data and click Recover. 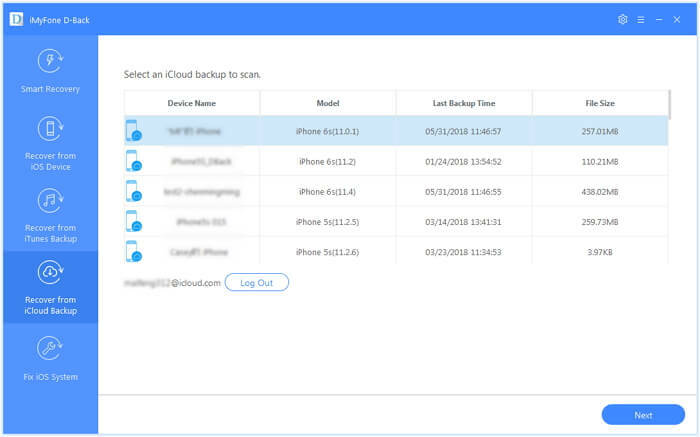 Here are the simple steps which you can follow to recover your deleted files from iCloud backup. Follows some clicks and get your deleted data back via iCloud back. Before restore, you need to erase all contents and settings first. 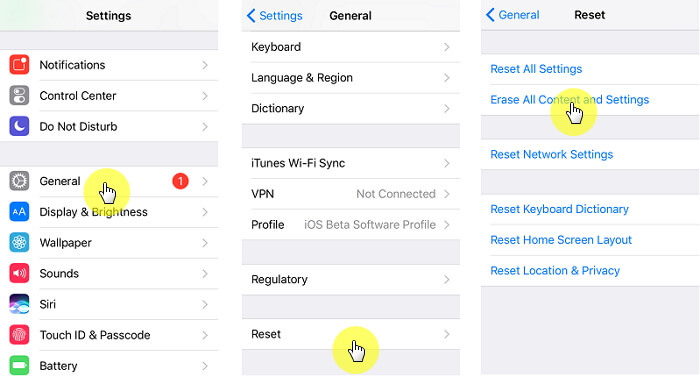 Step 1: Turn on your iOS device and erase the content to set up your device for backup recovery. Step 2: Just follow the steps you have gotten on screen until you are going to be able to get your App and Data Screen. Now click Restore from iCloud backup. Step 3: Log in to your iCloud profile. And choose backup according to date or size and let the device start transfer operation. Step 4: Log into your Apple account to restore your purchases and applications. Stay connected and let the progress bar be completed. After finishing the setup, you can enjoy your device perfectly. Here are steps for you to follow for easy recover from iCloud backup via D-Back. Step 1: Launch iMyFone D-Back and go to “Recover from iCloud Backup” and click start. Step 2: Enter your iCloud detail log into your account. Select one backup to continue. Step 3: Select the data type you need to start scanning. Step 4: After scanning, you will get search results on your screen. 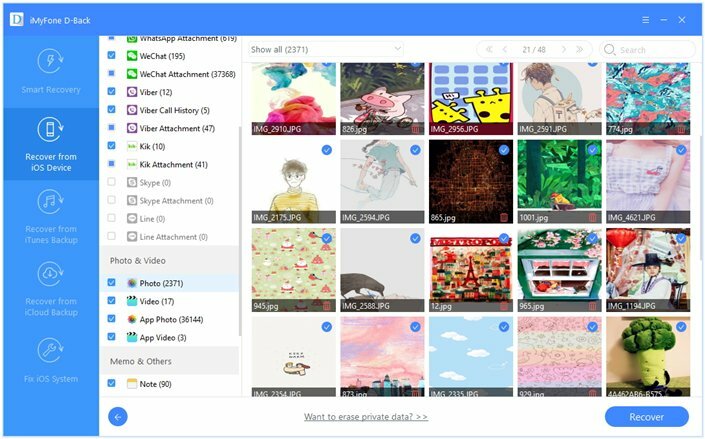 Mark the files you want to recover and click Recover. Other than its fatanstic features, it is also trusted by many professional websites. Some users have also sent the feedback to us and you can take the feedback as a reference. Although you can recover your lost data from iPhone, the prevention is certainly important. Save your data on your PC too. Backup your data on iTunes or iCloud on a regular basis. Ensure proper storage space in your iPhone. Do not forget to update your applications. Although there is no option of iPhone recycle bin available, there are still various methods you can use to recover data with ease. Here we have discussed various methods that can be utilized to recover your deleted files with ease.